With the Connect-2-Moodle plugin, users can enter Adobe Connect meetings, launch Presenter and Captivate presentations and watch event recordings with a single click from inside of Moodle. Connect-2-Moodle provides a Single Sign On (SSO) environment in which information passes effortlessly in both directions between the two platforms so users cannot tell where Moodle ends and Adobe Connect begins. Download the Connect-2-Moodle plugin package from the Refined Training platform: http://www.refineddata.com/connect-2-moodle/ and open the README file to access the installation instruction. The installation instructions include how to install the plugins from the site administration interface and instructions on how to set up Refined Services. Refined Services (RS) is a service to manage the integration between Moodle and Adobe Connect. This service provides added security, flexibility and simplifies the process for updates and maintenance by keeping all data centralized. It is essential that you follow the instructions in the README file to ensure all your users and content are updated in Refined Services. When using Refined Services a trial license is applied with the initial setup for the duration of 30 days. For paying accounts the license is valid for one year and is automatically updated once the annual fee is received by Refined Data. Refined Data will notify you approximately 60 days prior to expiry to renew your service. The Refined Services license has an expiry date that can be found with the account information at Site administration >>>> Plugins >>>> Local plugins >>>> Refined Services. When a Refined Services account expires, or the domain is changes, the integration with Adobe Connect will fail. Administrators on the site will be directed to a settings page with a message for them to contact Refined Data Solutions regarding the account expiry. The activities associated with the Refined Services integration will appear blank to all end users. These activities include activities like live Adobe Connect meetings and recordings. Refined Training hosted clients are not set for expiry and the Refined Training administration team manages the Refined Service settings on their behalf. When a Refined Services account is created for your Moodle site, the system will check the base domain to ensure there is not an already existing base domain being used. 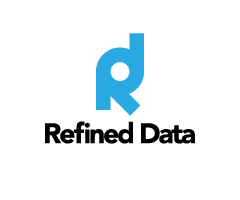 If the system finds a matching base domain, it will not allow the auto creation of the integration and will display a message to contact Refined Data Solutions at support@refineddata.com. The Connect Service Username and the Connect Service Password fields will not allow credentials to be entered if another domain is already using those same credentials. When installing the Connect Module, package 2, there will be a new settings page displaying options to add your own site-wide custom icons for the new Connect Activities. To add these site level custom icons to your site at a later time go to Plugins >>> Activity modules >>> Connect Activity. The new settings page for the Connect Module will also provide the fields for entering the Adobe Connect details for the integration. Leave the Connect Service Username and Password blank but proceed to enter the Adobe Connect information as directed in the README file. Once the Connect Filter, package 3, is installed there will be another listing of New Settings available. These can be reviewed at the point in the installation or at any afterwards by going to Plugins >>> Filter >>> Connect. When installing typically the default settings are sufficient to get new account set up. For more information regarding administrative set up for Adobe Connect activity click here to access the main article. The authentication also ensures that users created in the LMS, or in Adobe Connect, are not duplicated on either platform, and that a user’s username and password are handled by one master platform so that login credentials are not confused or reset incorrectly. New users who have an account on Adobe Connect will be able to log into the Refined Training platform and create a new account. When this account is created, the authentication method associated with that user’s profile is the Adobe Connect authentication method. Setting Adobe Connect to be the master of users’ information with this authentication method, means the user will always use their Adobe Connect credentials to login. Lean more here. Connect Activities through the Connect-2-Moodle plugin, provide a powerful tool for the delivery of cutting-edge course content and webinars using Adobe Connect, the leader in web conferencing software and digital eLearning solutions. Where activities are the standard way to create components for courses within Moodle, Connect Activities are designed to allow content and meetings from Adobe Connect to become standard course components within Moodle. Once recognized by Moodle as course components, Connect Activities can be evaluated, reported on, used as prerequisites and be the basis for the completion of courses. The menu displays a listing of all available activities that can be created within the course. The majority of the activities are Moodle standard activities. Three activities are clearly indicated as Connect Activities. The Refined Reminder system is a powerful tool that allows administrators to create customized HTML reminder messages and link these message to Connect Meetings. Click here to learn more: Refined Reminder System. The auto-login links, urlx and meeting, and the Refined tag [[course#field]], described in the documentation, are available as part of the hosted Refined Training platform and not part of the Connect-2-Moodle plugin. The Refined Tools block is a resource feature of the Connect-2-Moodle plugin from Refined Training. Once this block is added to the platform it is visible to the site administrators or anyone who has permissions to use the available tools. We recommend that this block be added to the front page of the site and added to course pages for easy access to the available features. Navigate to front page and to Administration>>> Front Page settings and click on Turn editing on. Scroll down to bottom of page to Add a block. Use drop-down menu to find to select the Refined Tools block. 2) Browse Reminders – opens the list of available reminders. See the article about Reminders for more information. 3) Refined Support Center - opens the Refined Support Center. Click on the Refined Training square to find many useful articles (note: some information on the site applies to hosted clients only). 4) Send Meeting Link - Enroll users in to courses and send them single click links to enter Connect meetings. Click here to learn more.